Top Fuel legend Larry “Spiderman” McBride outlasted the quickest Top Field he’s ever seen to win the Manufacturers Cup from Valdosta, Ga. The bump spot for the eight-bike field was an astounding 6.42 Chris Hand was bumped out with a 6.53. 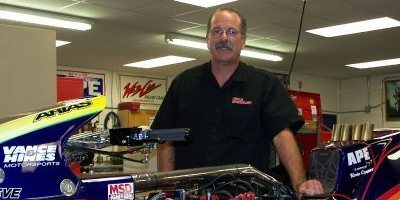 In the final McBride used a 6.00 at 222 mph to defeat the 6.33 at 219 mph of Nitro Harely racer Tommy Grimes. Wish I was there to see you guys ! maybe over the holidays!